With our associate, Tait Nucleus? Recorded at White Room studios, Detroit, Michigan. Produced by Damien Mendis and Stuart Bradbury for Soulchild (www.soulchild.net) with Electric Six. 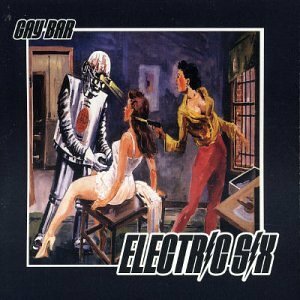 Arranged by Electric Six, except ‘Gay Bar’ arranged by Electric Six and Soulchild. All songs published by Wall of Sound / Sony ATV.